LEND (Leadership Education in Neurodevelopmental and related Disabilities) is an interdisciplinary leadership training program, funded by the Maternal and Child Health Bureau of the federal government at 52 sites around the country. The LEND Program at WIHD is a two-semester interdisciplinary leadership training program. LEND trainees include graduate students and post-doctoral fellows; self-advocates; and family members of children and adults with disabilities. Through participating in LEND, trainees develop knowledge and skills they will need to become leaders working with and on behalf of children with disabilities and other special health care needs, and their families, to improve health outcomes and decrease disparities. Trainees from many disciplines participate: audiology; family specialist (parent or sibling of a person with a disability); genetic counseling; health advocacy; health administration; medicine; nursing; nutrition; occupational therapy; psychology; public health; self-advocacy; social work; special education; and speech language pathology. Option to earn a fifteen credit certificate in “Children with Special Health Care Needs” from New York Medical College. For more information, please click here. 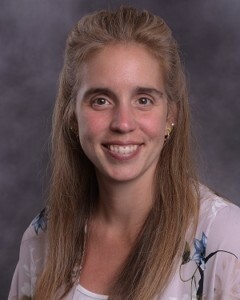 Dr. Castillo is the director of the LEND (Leadership Education in Neurodevelopmental and related Disabilities) Program. 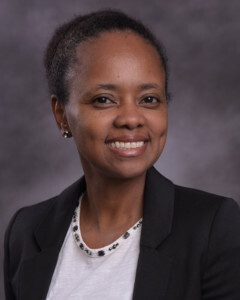 She is Assistant Professor of Practice in the Center on Disability and Health in the School of Health Sciences and Practice at New York Medical College (NYMC) and is the Diversity and Inclusion Coordinator at WIHD. Until recently, she was Assistant Director of WIHD’s Child Welfare Program. Dr. Castillo has been a LEND faculty member and child psychologist at WIHD since completing her post-doctoral fellowship and LEND traineeship in psychology at WIHD in 2003. Throughout her career, Dr. Castillo has collaborated at the national level on activities and projects related to leadership development, diversity, inclusion and cultural competence. As a post-doctoral LEND fellow she served as a national trainee representative on the Diversity Workgroup of the Association of University Centers on Disabilities. In 2016, she was selected as a member of the national cohort for the Cultural and Linguistic Competency Leadership Academy of the National Center for Cultural Competency of Georgetown University. She was named WIHD’s first Diversity and Inclusion Coordinator in 2016. This year NYMC chose her as the first recipient of its Diversity and Inclusion Award.